Spring of 1970 was a tumultuous time on college campuses. On April 30, President Richard Nixon announced that U.S forces would invade Cambodia because of the recent communist coup. 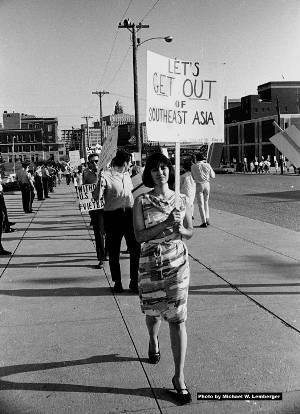 Students around the country protested this escalation of the Vietnam War. 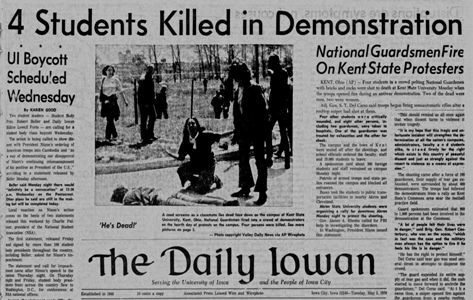 On May 4, the National Guard fired on students at Kent State University, killing 4 and wounding 9 people, which ignited protests all over the country. 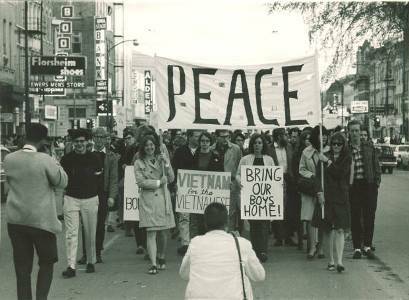 Anti-war protests were not new to Iowa City or to elsewhere in Iowa; protests had been occurring throughout the 1960s. Spring of 1970 was different. After the Kent State shootings, students marched on the National Guard Armory, broke windows there and also in some downtown businesses. The City Council gave the mayor curfew powers. On May 6 there was a student boycott of classes. That night about 400 people had a “sleep-in” in front of the Old Capitol. That night about 50 people broke into the Old Capitol and set off a smoke bomb. The protestors left voluntarily when asked to do so. Around 2 AM Friday morning President Boyd requested arrest of the students on the Pentacrest by highway patrolmen, but the next day he regretted the mass arrests and said he had received faulty information. On May 8, President Boyd cancelled the 89th annual Governor’s day ROTC observance for the following day. On Friday and Saturday a National Guard helicopter circled the Pentacrest. In the early morning hours of Saturday, May 9, the Old Armory Temporary (O.A.T. ), also known as “Big Pink”, which housed the writing lab, was burned down. 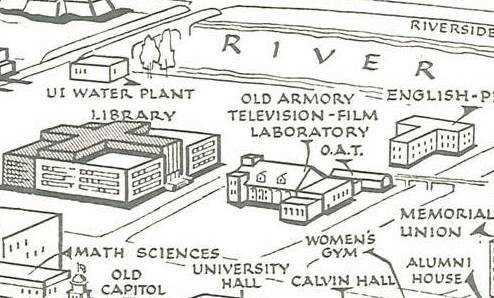 This building was located was next to the Old Armory, where the Adler Journalism and Mass Communications building currently is located. O.A.T was said to be at the top of a list of buildings for burning, probably due to its poor condition and was considered a firetrap. The Iowa Alumni Review includes an article about the fire in which the author states: “Only the ends stayed upright. … On the south, Lou Kelly’s Writing lab bearing the sign ‘another mother for peace,’ escaped.” There was a second, smaller fire on Saturday evening in a restroom in the East Hall Annex. By Sunday morning, President Boyd gave students the option to leave. Classes were not cancelled but students could leave and take the grade they currently had. 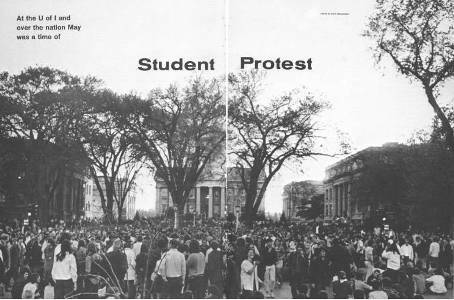 An account of the May 1970 protests can be read in the June-July issue of the Iowa Alumni Review. Students should not accept everything that is dished out to them. We don’t want to dictate what they should or should not do. However, student demonstrations should remain within the law and good taste without interfering with the university’s primary purpose of instructing students. During this time there was also a strong ROTC presence on campus. The 1970 yearbook includes many pictures of the men and women who chose to serve the country in this manner. 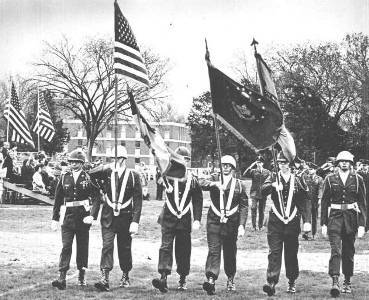 Their presence on campus and the academic credit they received for their service was called into question by both students and faculty in the spring of 1970, but Boyd said he could not abolish ROTC. 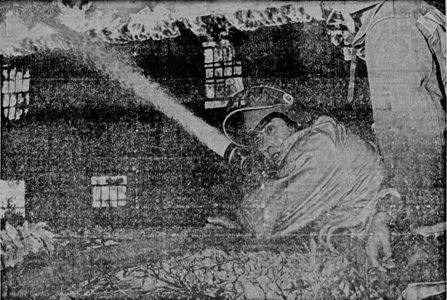 The Alumni Review had an article called “ROTC: Alive and well at Iowa” in the December 1969 issue which helps provide a more complete picture of this period in history.